The Wistar Institute at 3601 Spruce Street in Philadelphia. Philadelphia-based biomedical research organization The Wistar Institute has been selected among six recipients of nearly $30 million in grants to develop a cure for HIV. The National Institutes of Health announced late last week that it would award the annual funding for five years as part of the Martin Delaney Collaboratories for HIV Cure Research. Delaney (1945-2009) founded the San Francisco-based Project Inform in 1985 and went on to become a leading public policy advocate for people living with HIV and AIDS. As an activist, his efforts were instrumental in shaping the AIDS research agenda, in large part by expediting the FDA review procedures for HIV drugs. “Millions of people are now receiving life-saving antiretroviral medications from a treatment pipeline that Marty Delaney played a key role in opening and expanding,” said Anthony S. Fauci, director of the National Institute of Allergy and Infectious Diseases (NIAID), which supports the new research program. “Without his tireless work and vision, many more people would have perished from HIV/AIDS." Among the six award recipients, The Wistar Group was chosen to lead the Philadelphia-based BEAT-HIV project, which focuses on developing an HIV-1 cure using combination immunotherapy. The consortium of local researchers includes experts from the University of Pennsylvania's Perelman School of Medicine, Philadelphia FIGHT, Johns Hopkins University, and Rockefeller University, among others. Worldwide, about 37 million people currently live with HIV. Another 17 million are receiving antiretroviral therapy (ART). The NIH awards are part of President Obama's call to increase investment in research to discover an effective cure. Despite significant advances in ART since HIV/AIDS was first reported in the early 1980's, researchers worldwide continue to seek answers to the latent genetic reservoir the disease builds into the immune system. Current ART can only target the virus when it is actively replicating, leaving patients with infected blood and tissues susceptible to a broader infection. “A simple, safe and scalable cure for HIV would accelerate progress toward ending the HIV/AIDS pandemic,” Fauci added. “Through the leadership of talented investigators with a diversity of expertise, the Martin Delaney Collaboratory program will accelerate progress in this key research endeavor." At the Wistar Institute, research efforts will be led by Luis J. Montaner, director of the HIV-1 Immunopathogenesis Laboratory, and James L. Riley, Ph.D., research associate professor at the Perelman School of Medicine. The project will incorporate three pillars of study that investigate where HIV hides after ART and will formulate clinical strategies for a cure that eliminates the latent virus. This includes "fingerprinting" HIV in infected cells to determine their fate over time and tracing signs of the virus in parts of the body that may not have been studied as intently in the past. A second research pillar will focus on stimulating "innate immunity" through combination immunotherapy, an approach that deploys a mix of existing and unique antibodies against HIV. Researchers will also further explore the development of new DNA-based delivery systems for anti-HIV treatments that could prove more effective than transfusions. For the third and final pillar, researchers will pursue a novel genetic strategy based on the recent success of human trials for Chimeric Antigen Receptor (CAR) T-cell therapy. By engineering, growing and administering killer T-cells, the researchers hope to expand clinical trials and improve conditions for the T-cells to proliferate and kill HIV-infected cells. “The results of this trial are expected to show for the first time what the long-term effects of these killer cells can be in finding and eradicating HIV,” said Riley. The BEAT-HIV Delaney project complements several recent strides that have been made by HIV researchers in the Philadelphia area. In March, Temple University researchers became the world's first scientists to effectively remove HIV-1 from human T-cells, a genome editing breakthrough that could prove crucial to protecting cells from reinfection. Last month, meanwhile, Penn researchers published the results of a promising study that refines the existing animal model for HIV vaccine development. 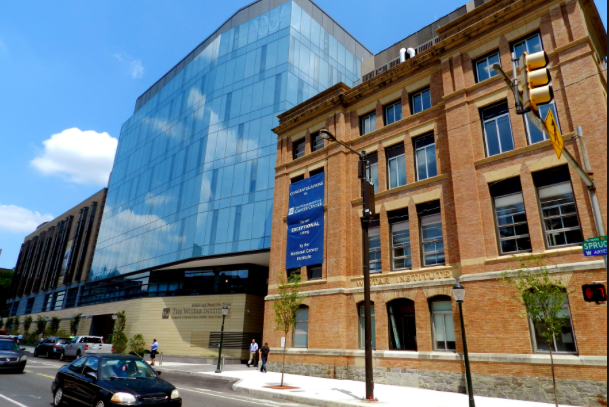 Founded in 1982, The Wistar Institute specializes in cancer, immunology, infectious diseases and vaccine development. It was the first independent nonprofit biomedical research institute in the United States and prioritizes the advancement of research from the laboratory to the clinic.